This workshop, led by Anna Koon, will cover topics like deductions for artists, year-round bookkeeping, creating a budget, taxes, and accounting tools. Participants will walk away with a confident understanding of how to effectively handle their finances, no matter how big or small their business aspirations. In addition to her career as a full-time painter, Anna is a board member and educator for the Jamaica Plain Arts Council and a member of the Advisory Council for the Merchant Growth Development Program of Hyde/ Jackson Square. She is the Founder and Director of the Focusing Series and has developed workshops for the Arts & Business Council of Greater Boston, the Danforth Museum, ArtsWorcester, and the Belmont Artist Association. Through consulting and coaching, Anna has been offering principled guidance and practical assistance to artists, solopreneurs, and small businesses for well over a decade. This workshop is free for current ArtsWorcester members, but limited to the first twenty to register. A wait-list will be held. Please reserve your spot using this SignUp genius. 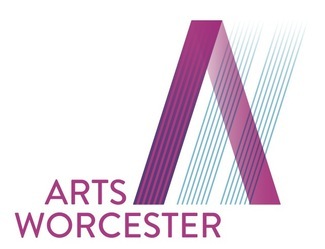 Click here to join, or renew your ArtsWorcester membership. Please contact the gallery if you are unsure of your member status. We thank the Melvin S. Cutler Charitable Foundation for its support of the Artist Business Skills Workshop series.